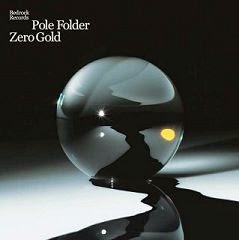 John Digweed is proud to introduce the first artist album ever on the revered dance music label Bedrock Records - Pole Folder ‘Zero Gold’. This album has been a long time in the coming and after two years in the studio, the wait is finally over. Pole Folder ‘Zero Gold’ straddles the line between a cinematic soundscape and the heady exploration of the sonic atmosphere. The melancholic lyrics are sung beautifully throughout by guest vocalists Kirsty Hawkshaw (who is well-known for her previous work with BT, Hybrid & Orbital), Shelley Harland (Junkie XL, Ferry Corsten) and Belgian songstress Sandra Ferretti. Pole Folder is a true musician, having played the trumpet and guitar since the age of 5, before learning the art of composition and performing in a symphony orchestra. After playing in rock bands, writing songs & touring in his native Belgium, Pole Folder discovered electronic dance music and the sounds of John Digweed & Sasha. His first release ‘Apollo Vibe’ debuted on Bedrock Records in 2001. It was a track conceived around space echoes and a strange collaboration of sounds which was immediately included on John Digweed’s Global Underground 019 : Los Angeles. Since then Pole Folder has followed up with ‘Enter the Rhythm’, ‘Waxxx’ and ‘Dust’ subsequently included on John’s MMII album. ‘Zero Gold’ is not simply a dance album. It is a carefully crafted work, grounded in timeless musical concepts, stellar production and genuinely felt artistic presence. It acknowledges its influences (Massive Attack, Pink Floyd) without parodying them and is ultimately an expression of the artist’s endeavor played out through the use of modern technologies and musical techniques. Over the last six years Bedrock Records has notched up over 50 quality releases and the label has quickly become one of the most influential on the house and breaks scenes. It has successfully established itself far beyond a single genre, its significance felt throughout the dance music industry and its independent status allowing huge artistic freedom and attachment to what remains an underground vibe. For more information, be sure to check in with Bedrock's website, or go straight to the source at PoleFolder.com or just have a look at the promotional video.